Maj. Amy Natalini, the 2018 Air Force Female Athlete of the Year. Second Lt. James Griffin Jax, the 2018 Air Force Male Athlete of the Year. JOINT BASE SAN ANTONIO-LACKLAND, Texas -- The Air Force recently announced its 2019 Male and Female Athletes of the Year -- a commander’s action group director and an acquisition officer turned world class athlete. Female Athlete of the Year is Maj. Amy Natalini, director of headquarters 8th Air Force’s commander’s action group at Barksdale Air Force Base, Louisiana. She is a championship half-marathon and marathon runner who, as team captain, led the U.S. Air Force Women’s Marathon Team to a first-place finish at the 2018 Department of Defense Championship. In total, she completed eight full and two half marathons during the award period, typically finishing in the top 1 percent of women athletes. Natalini said she was honored by the award, but that it wasn’t solely hers. 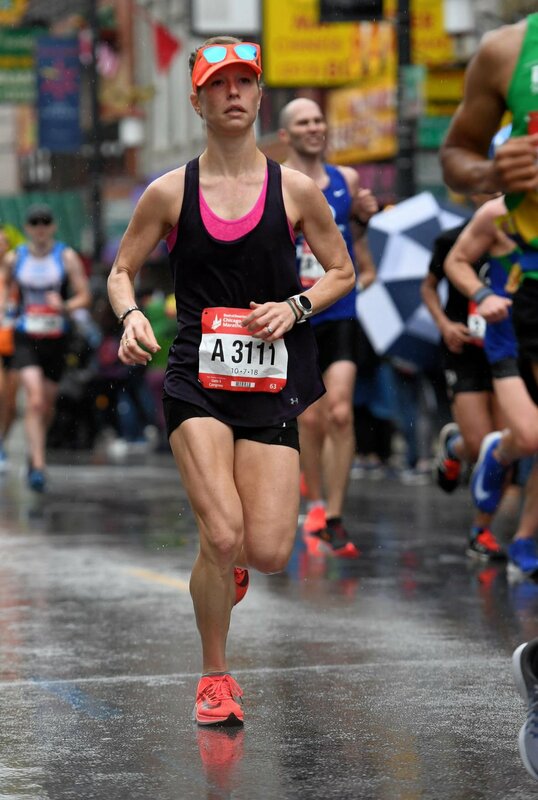 “This is an accomplishment that needs to be shared with my family, friends and supporters who traveled with me, got up early to cheer at countless races, challenged me to be better and supported me through highs and lows, injury and illness, winning and losing,” she said. As CAG director, Natalini led a team through the largest unit reorganization in four years while providing analytics support to the nation’s nuclear operations. She attributes some of that success in uniform to her dedication to fitness and running. When not working at 8th AF or running competitively during the year, Natalini coached 35 elementary school runners during practices and at cross-country meets; shaping healthy lifestyles for the young athletes. She also led 15 run clinics and coached more than 200 runners to help minimize running injuries. “I was at an Airman leadership school graduation when I was a lieutenant, and our guest speaker, a chief master sergeant said, ‘Never do anything to impress someone. Always do it to inspire them,’” Natalini recalled. Coaching and molding young people is important to Natalini. “First and foremost, I want my daughter to know she is strong and can do anything she puts her mind to. She started her run streak this year on Jan. 1, and has run a mile every day since then. But if we can impart that healthy lifestyles should be started at a young age, then kids are more likely to hold on to that and take it with them as they get older. “I want kids to get outside and play with their friends, rather than the iPad. They’re happier and healthier that way,” she said. The Male Athlete of the Year is 2nd Lt. James Griffin Jax, an acquisition officer. He is assigned to the Air Force Services Activity’s World Class Athlete Program. 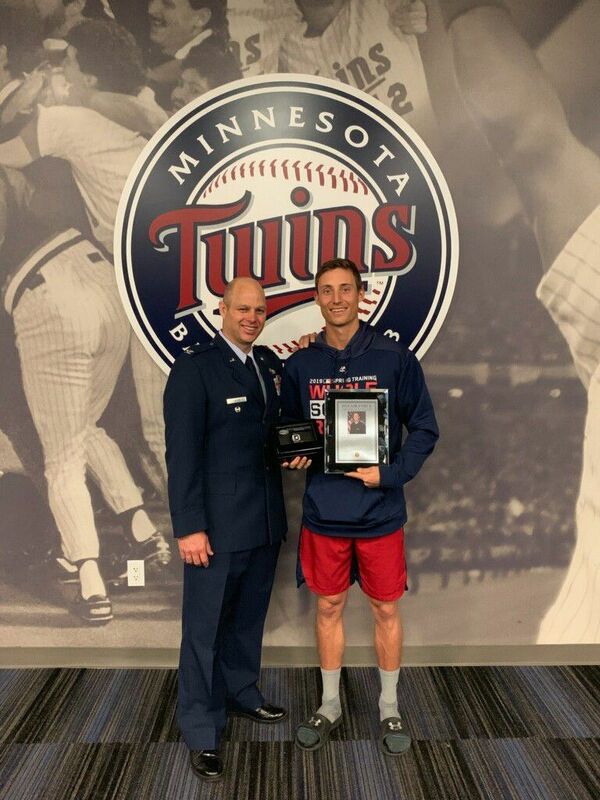 Jax, an inductee in the U.S. Air Force Academy Baseball Hall of Fame, is the most decorated baseball player in Academy history and is a member of the Fort Myers Miracles, a minor league team of the Minnesota Twins. As a WCAP athlete, Jax trains full time for the 2020 Olympics and plays for the Miracles. After signing with the Miracles, he integrated his style with the team’s strategy, helping the team earn the 2018 Florida State League Champions title. During the award period, Jax also dominated prospect challenges, earning the Twins’ June 2018 Prospect Spotlight and Arizona’s September 2018 Top Prospect Showcase. In addition to his sports accomplishments, Jax gives back to those in his community by volunteering with child medical units, educating youth at a local middle school and hosting instructional camps for athletes. When trying to motivate others, Jax said he just tries to be a good example. “I don’t try and pressure others into my world, but rather show and give examples of how my struggles and successes have developed me as an Airman and as a person in general,” he said. Mentoring also allows Jax to take a step back and realize where he came from.